As you already know from my previous post I love Bath & Body Works.Â Iâ€™ve been using their products since they began and continue to love them more and more. Recently I participated in the #BBWSummer Twitter party. If youâ€™re not on Twitter yet you are missing out. Itâ€™s one of my favorite things in the whole wide world. Plus itâ€™s a great place to connect with all the brands you love. 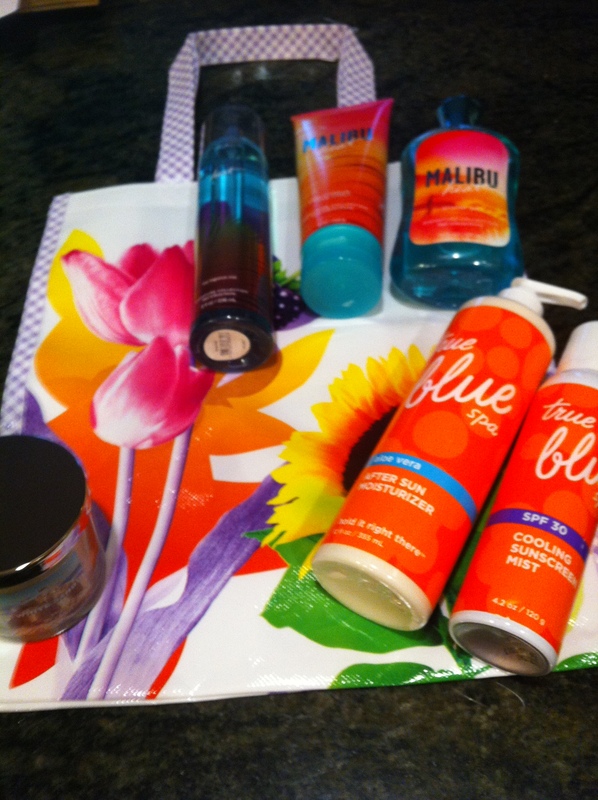 During the #LuvBBW party we talked about summer, our favorite Bath & Body Works products and tons more. Their parties are always a blast. 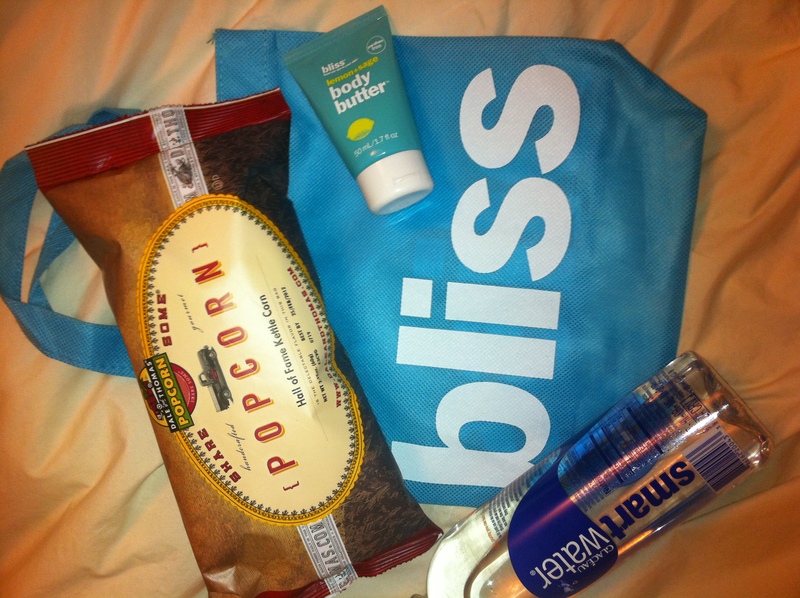 I was thrilled to win a fab gift bag with tons of amazing products. Especially since they were scents I have not yet tried. I received the Malibu Heat Triple Moisture Body Cream, Malibu Heat Fine Fragrance Mist, Malibu Heat Shower Gel, True Blue Spa Cooling Sunscreen Mist in SPF 30, True Blue Spa After Sun Moisturizer Hold It Right There, Slatkin & Co. White Sand Candle and a cute tote bag. 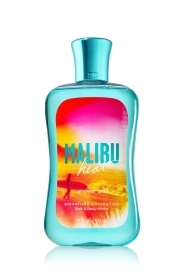 Malibu Heat reminds me of a yummy Malibu Bay Breeze. My hubby thought so too. 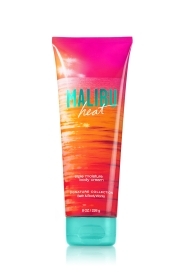 Malibu Heat is a fresh blend of juicy pineapple, California orange and creamy coconut milk inspired by hot pink sunsets and twenty-seven miles of beautiful beach. I had never tried their sunscreen before and it went on really nice. 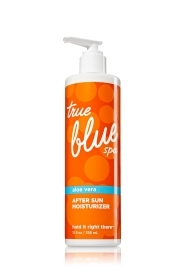 Iâ€™ve found that the spray sunscreens can smell a bit potent but this had a nice fragrance and gave great coverage. Who wouldn’t wear sunscreen when it feels this good to put on? 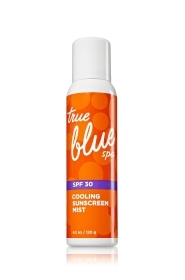 This SPF 30 sunscreen is a cool, refreshing mist that’s ridiculously easy to apply. Holy creamsicle! This smells amazing! This moisturizer went on very smooth but the kicker for me truly was the smell. Once you achieve the perfect tan, you’ll of course want to keep your pasty, pale friends jealous as long as possible. However sun exposure can cause dry skin and cause free radicals to age and damage skin. Their special after sun formula contains antioxidant vitamins C & E to help combat free radicals. 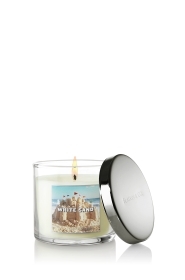 I love Slatkin candles and I love the beach! Who doesnâ€™t? Now I can have the best of both worlds. 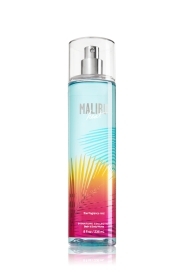 Like the first long days of summer at the beach – sparkling grapefruit and sandalwood, with coconut milk and summer jasmine. I am so thankful to Bath & Body Works for giving me the opportunity to try out these amazing products. I loved them all. Go figure! Their Semi-Annual Sale is going on now so hurry and go stock up! Like me, I’m sure that Kiehl’s has been a household name for you. After all, they have been around since 1851. 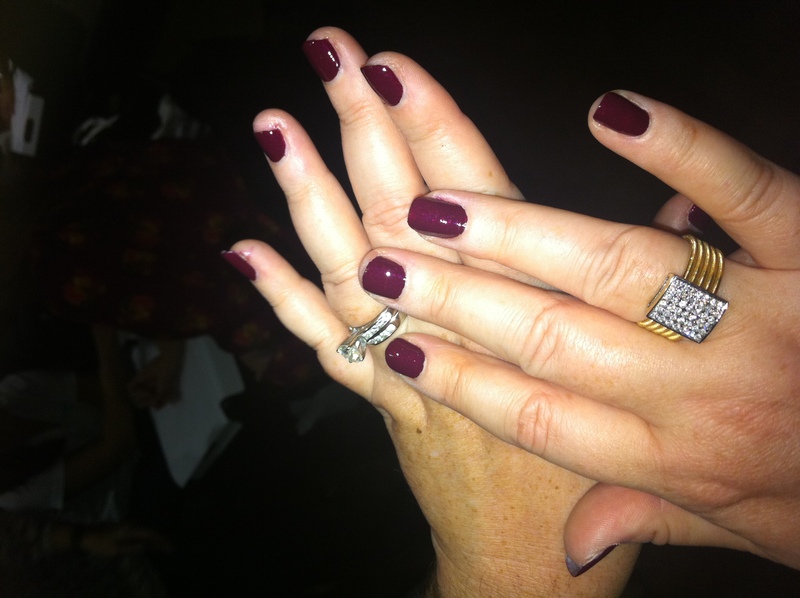 For the holiday’s Kiehl’s has been holding a “Share Your Holiday Hope” contest. Fans may submit their holiday’s hope and if selected receive a 8.4 fl. oz. 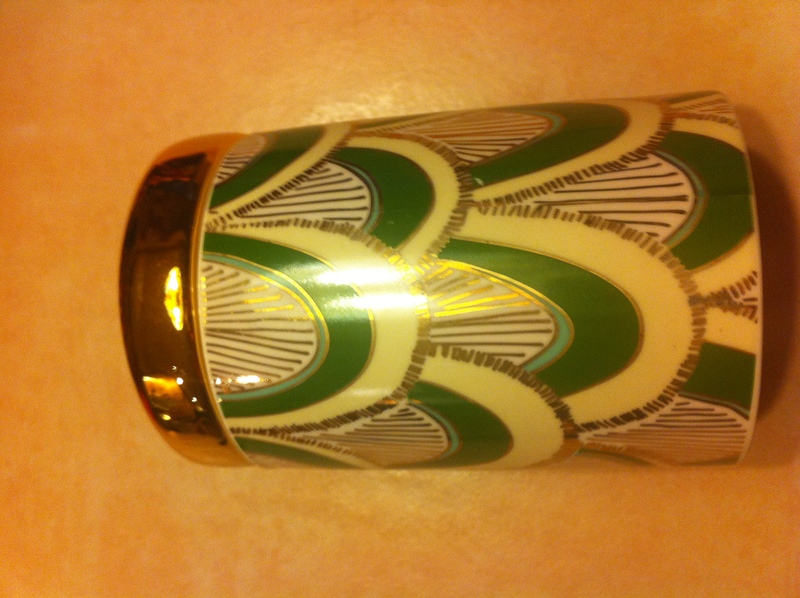 bottle of Creme de Corps Limited Edition Jeff Koons body lotion. 100% of Kiehl’s Worldwide Net Profits up to $200,000 will benefit The Koons Family Institute, an initiative of the International Centre for Missing & Exploited Children. 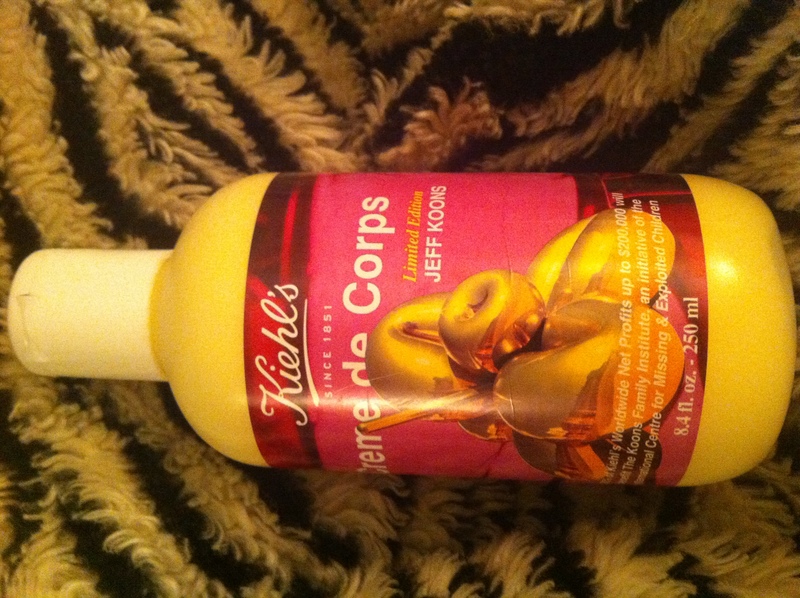 The Creme de Corps Limited Edition Jeff Koons lotion is super moisturizing. Perfect for the winter months! Plus proceeds go to a great cause. Purchase this limited edition line by visiting http://www.kiehls.com or participate in the “Share Your Holiday Hope” contest and try and win a free body lotion. Kiehl’s is offering free gift wrap until Dec. 24th with every order. *Disclaimer – The thoughts presented in this post are my own.